Pennsylvania open container laws apply to both drivers and passengers of motor vehicles, and the laws provide that neither a driver nor passenger can have an open alcoholic beverage in a vehicle. The open container law in Pennsylvania is codified at 75 Pa.C.S.A. § 3809. Actual consumption of alcohol is not a decisive factor when police attempt to determine whether the open container law did get violated. It’s not a defense that a person charged under this chapter of the law is legally entitled to use alcohol. 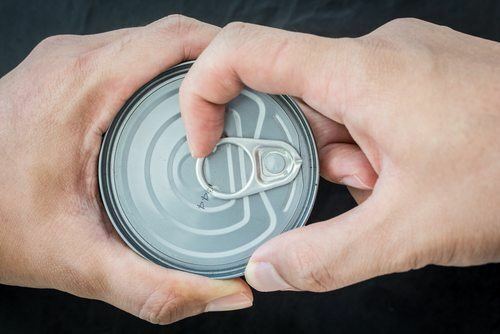 To defend an open container charge, you must prove that you did not possess an open alcoholic beverage, or you must prove that you did not violate the law. When it gets determined that Pennsylvania’s open container law gets violated, it is a summary offense. The penalties can include monetary fines and license suspension. However, depending on the surrounding circumstances and prior criminal history, penalties can get enhanced. A warrant is not required when a police offer has probable cause to believe that an individual violated Pennsylvania’s open container law. However, a police officer cannot pull a vehicle over, nor can a police officer extend a search beyond reasonable means when probable cause does not exist. Furthermore, a police officer can’t “piggyback” probable cause from other improper means. Evidence that gets obtained illegally can’t be used to prosecute an accused offender. It is possible to defend an open container case. For instance, if you were a driver or passenger in a vehicle where the open container is permissible, a charge can get dismissed. A permissible vehicle might be a bus or limousine. If you were a passenger in a vehicle where an open container of vehicle existed, but you were unaware, and you did not exercise dominion or control over that part of a vehicle, then you might have a defense. Pennsylvania does not constructive possession presumptions, which might make this defense difficult without a seasoned defense attorney. When a police officer charges you with a criminal offense, it is on the prosecution to prove their charge. This requires that both physical and documentary evidence is preserved correctly. Preservation of evidence comes in the form on a chain of custody. Law enforcement must be able to account for the custody of evidence throughout a prosecutorial matter. Proper chain or custody and reliable documentary proof of the chain of custody is a constitutional safeguard that promotes adherence to the law for both law enforcement officers and the accused. Because open container violations can affect you not only regarding criminal sanctions but also in ways such as increased auto insurance or an insurance company dropping its coverage, it’s important that you hire a knowledgeable Pennsylvania open container attorney. Only an attorney can ascertain whether your civil rights get violated during an open container search. Furthermore, only a Pennsylvania license attorney can analyze the facts of your case in conjunction with Pennsylvania’s open container law to see that you correctly and timely raise all possible defense.